Hallenstein Brothers, the New Zealand menswear company, has brought in American actor Matt Dillon to provide the voiceover for a television advertising campaign launching the Summer 2011 range. Filmed in Mexico, the television commercial portrays three young men a summer road trip in Mexico. Dillon reminisces on spending summers with close friends, “like family, you know, but without the drama”. Dillon is one of five brothers. 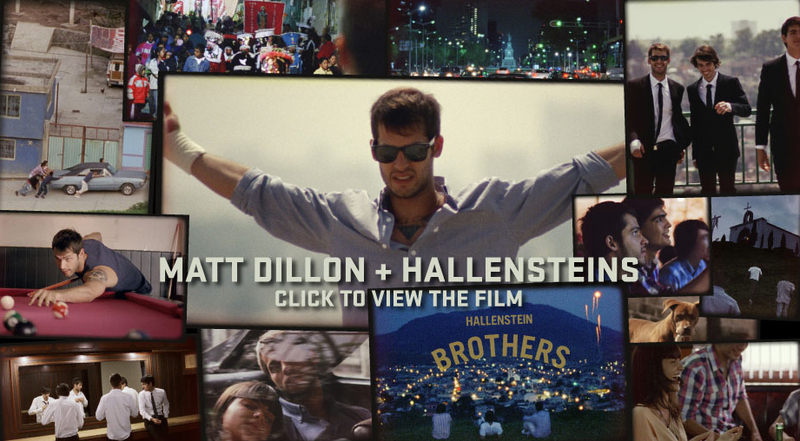 The Matt Dillon project was developed at Publicis Mojo, Auckland, by creatives Mikhail Gherman and Lachlan McPherson, agency producer Liz Garneau, account manager Kay Boyle, account director Jonathon Bates, working with Hallensteins chief executive Glenn Hunter and Hallensteins NZ general retail manager Kerry Lila. Filming was shot by director Leo Woodhead via Thick as Thieves, Auckland, with director of photography Ari Wegner, producer Nikki Smith, executive producer Nik Beachman. Post production was done at Blockhead by online editor Stefan Coory, at The Butchery by offline editor Pete Sciberras, and at Toybox by colourist Pete Ritchie. Audio post production was done at Liquid Studios by sound designer Craig Matuschka. Music is by Joel Haines.